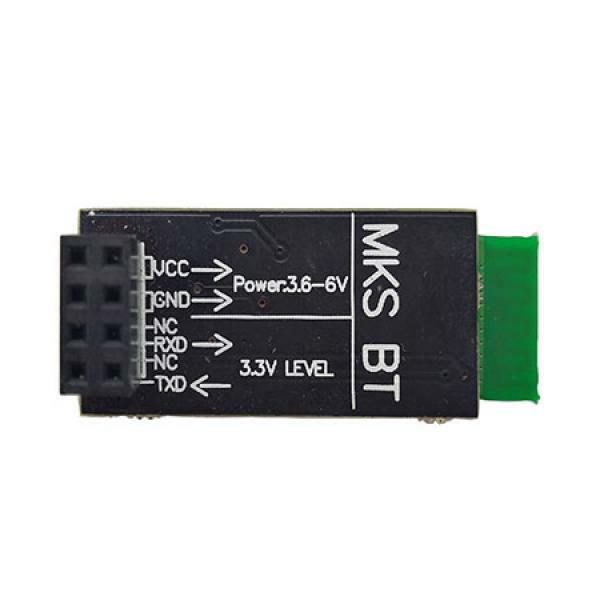 MKS-BT is a board that contains the hardware of the hc06 chipsets. This is a bt adapter that is used on some reprap ramps and MKS Gen with bt connection. Modify communication baud rate of Marlin into 9600 : find #define BAUDRATE 250000 in Configuration.h, and change it into #define BAUDRATE 9600. 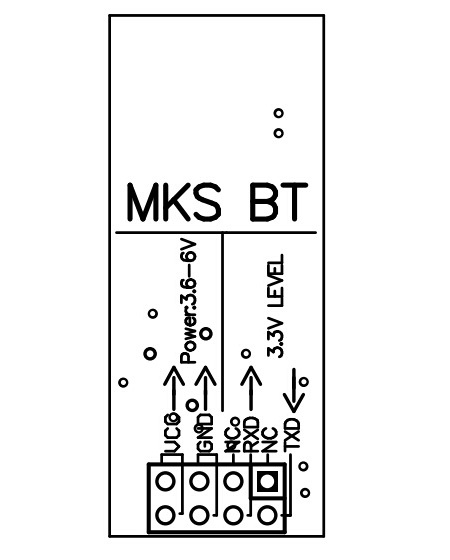 After plug on electricity, MKS - BT LED will be flashing , MKS - BT is in a state of connecting. 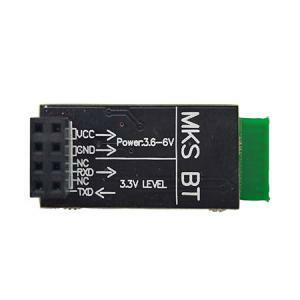 Via laptop or other Bluetooth-enabled devices, find MKS-BT module. Input pairing code"1234" on device, install Bluetooth serial port. After finish installation, find bluetooth serial port. Open Printrun , set port as Bluetooth COM, choose 9600 baud rate, then the connection finishes ; and MKS-BT module LED will stop flashing. 2.After change baud rate of MKS-BT module ,modify Marlin firmware, ensure both the same baud rate(baud rate<=115200). 3.Do not burn on board before finish debugging. 4.The distance of MKS-BT is limited , please note.